Hello all! Today I have an extra special post for you. I was on Twitter some time ago when Nicole from Nail Polish Wars and Elixir Lacquers posted that 20 bottles of Bad Kitty were going on sale! Bad Kitty for those of you that don't know is a limited edition lacquer that has been sold in VERY small quanitites every now and then. There aren't many bottles of this polish to go around so when she announced I was torn. I really wanted it but I know I need to be mindful of spending. As you probably guessed I ended up with a bottle of my very own. I am so excited about this polish and I hope you enjoy it as much as I am. 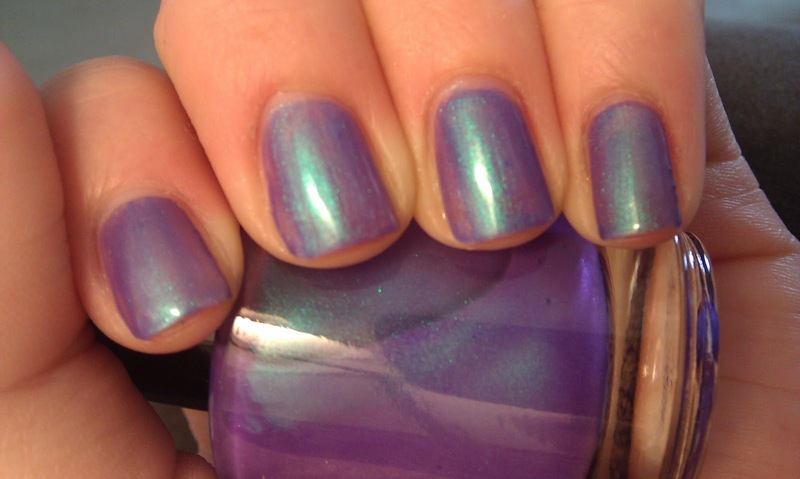 :) This lovely is a sheer purple polish with TONS and I mean tons of blue shimmer. 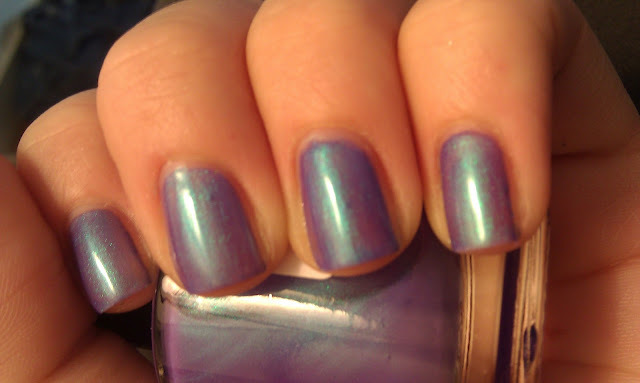 It has so much shimmer, it's borderline duochrome. For this swatch I started with one coat of WNW On a Trip and 2 coats of Bad Kitty, No top coat. 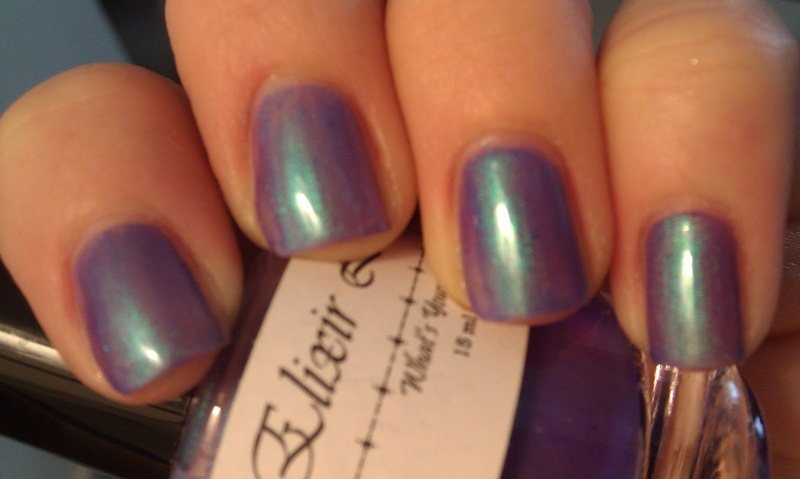 I have yet to try Elixir Lacquers but this looks gorgeous! I'm trying to be mindful of my spending as well so trying out new indie brands is just too dangerous! It is! I just bought pretty and polished tonight! my wallet hurts but my fingers love it!